What an amazing party! 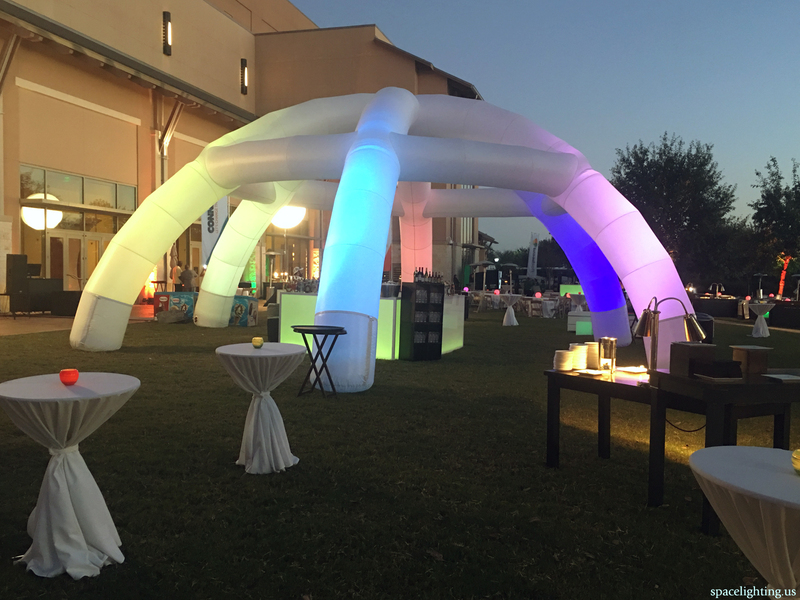 Space Lighting was recently tasked by Access DMC to create an event tent alternative for a party at the JW Marriott Hill Country Resort and Spa in San Antonio, Texas. 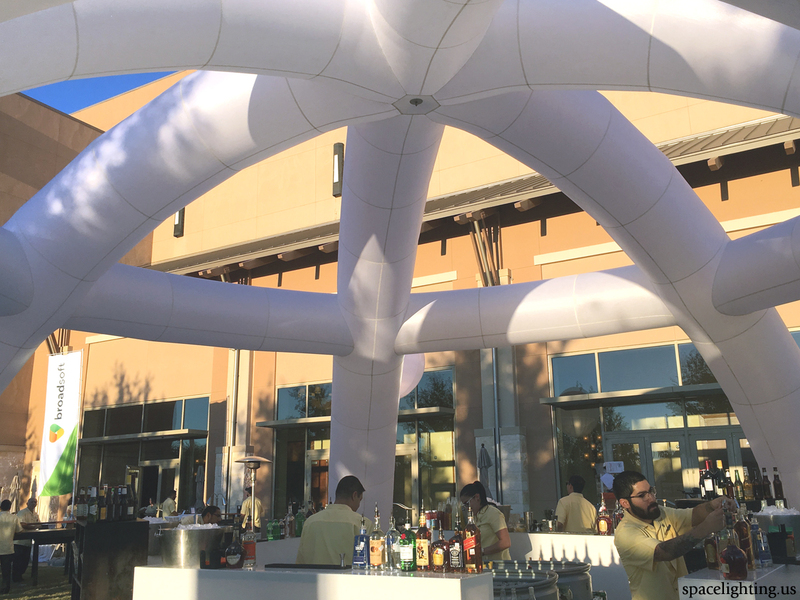 Naturally, we turned to the Airstar SpideAir to create the look and build the venue. We love the look of the SpideAir at outdoor (or indoor) events. Internal LED lighting can be matched to any party planner’s design palette. Filled with air and without an internal structure, labor costs for setup are reduced. Also, the SpideAir can be set up quickly anywhere, instantly transforming an otherwise plain event. The sheer size of the structure impresses guests when they enter, setting the mood for a fun night. For this event we used the smallest sized SpideAir sitting at 20 feet tall and 40 feet wide. In addition to this size, there is a medium (30 feet tall, 60 feet wide) and an even larger version (36 feet tall, 72 feet wide) that are both available for rent. For this event Space Lighting used the Airstar SpideAir to cover a bar area, sometimes a requirement for health codes. 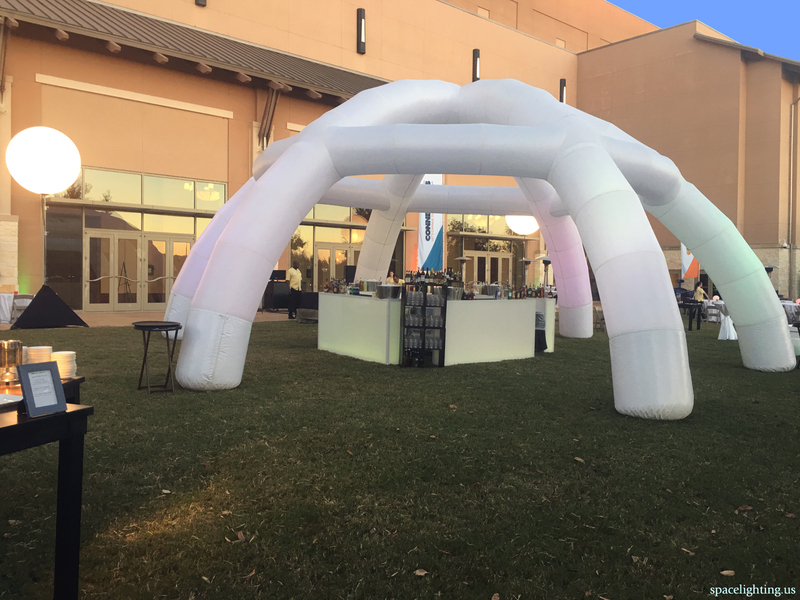 In addition to bars, the SpideAir works great as an event tent alternative for weddings, corporate events, or backyard parties. We can suspend different lighting elements from the peak to add illumination or decoration to the area. Furthermore, graphics can be added to any part of the SpideAir to showcase monograms, corporate logos, or event sponsorship information. In addition, the SpideAir is plenty large enough to use at a valet station for cars to pull through. The product is also a great way to set up an exclusive event VIP area.